Anita Kumari Chaudhary did not always have enough funds to buy clothes or raise her children. She relied on her husband, who repairs motorcycles, for money. Chaudhary lives in Binauna, Nepal — a rural town near the northeast border of India, where the average yearly salary is under $800 and women have not historically had a voice in their communities or national politics. Two years ago, Chaudhary’s fortune, quite literally, changed. That year, shejoined a ward citizen forum as part of a USAID-funded program called Sajhedari Bikaas, which means “partnership for local development,” and became active in her local community as a changemaker. She now makes twice the country’s average yearly salary after improving crop yields and selling surplus from her farm, and heads a citizens’ committee that is working to build a canal through the village to prevent flooding. Chaudhary is one of millions of people around the world who have been reached by USAID’s democracy, human rights, and governance (DRG) work. Sajhedari Bikaas uses foreign aid from the US to empower women like Chaudhary financially and politically, leading to a more equal society. But now, this sector of the US foreign aid budget is under threat. President Trump’s proposal for the 2018 fiscal year budget includes 32% cuts to foreign aid funding across the board — including a proposed 40% cut to DRG funding compared to 2017. Nepal, which received about $10 million in DRG funding in 2016, would get just half that much in 2018 if Trump’s proposal is approved by Congress. Funding for democracy, human rights, and governance, while representing only a small portion of the US foreign aid budget, is designed to ensure that gains by countries around the world — in health, education, sustainability — are implemented by healthy local and national institutions. It aims to serve as a buffer against extremism and corruption, and it provides a platform for people like Choudhary to have their voices heard. What Has DRG Funding Accomplished? For more than three decades, DRG funding has aimed to help countries emerge from dictatorships, poverty, and civil conflict and transform into richer, more sustainable democracies. This funding can take on many forms, including election monitoring, criminal justice reform, community development, and leadership training. USAID began to offer DRG assistance to countries around the world in the early 1990s, in the aftermath of the Cold War. Since then, the number of democracies worldwide has increased significantly. In 1991, according to USAID, fewer than half of the world’s countries had democratic leadership. By 2006, that number was 64%. “It’s the big USAID investments in improving governance and fundamentally improving local and national governments that pave the way for stability,” Jeremy Kanthor, head of Governance at Development Alternatives Inc. (DAI), an organization that receives USAID democracy funding, told Global Citizen. Countries in Eastern Europe and the Balkans — from Serbia to Albania — all received USAID funding for democracy, human rights, and governance. Serbia is a case-in-point that this strategy has had results. The country’s recently-elected Prime Minister, Ana Brnabic — the first-ever gay elected official in the conservative country — has her political roots in a USAID-funded program: the National Association for Local Economic Development (NALED). She’s now fighting for transparency and anti-corruption in Serbian politics. On-the-ground agencies using DRG funding also play a critical role in election monitoring in post-conflict societies like Myanmar, where USAID-funded organizations like DAI supported peace negotiations between various armed ethnic groups, and Kenya, where organizations working on the ground helped limit violence in the most recent presidential election. Democracy funding is at risk of being cut across the board. Allocated funding for DRG programs in 2017 was just over $2.7 billion, which is significantly less than funding for peace and security ($13 billion), health ($9 billion), and humanitarian assistance ($6 billion). The new administration has proposed cutting that funding by around 40%, to just under $1.6 billion — in order to account for a rise in defense spending. These cuts could have a particularly devastating effect on fledgling democracies in the Middle East, according to the Project on Middle East Democracy (POMED). “Deep cuts to leading U.S. democracy assistance mechanisms demonstrate the administration’s skepticism about the value of supporting democracy abroad,” a recent POMED report stated. Afghanistan would see a 33% decrease in DRG funding, Egypt’s DRG funding would be cut in half, and Kyrgyzstan would have its DRG funding cut by two-thirds. “Although U.S. democracy assistance is not perfect, drastic budget cuts would sever a lifeline to pro-democracy activists around the world,” Sarah Bush, a senior fellow at the Foreign Policy Research Institute, wrote in an op-ed after Trump's proposed cuts were announced. 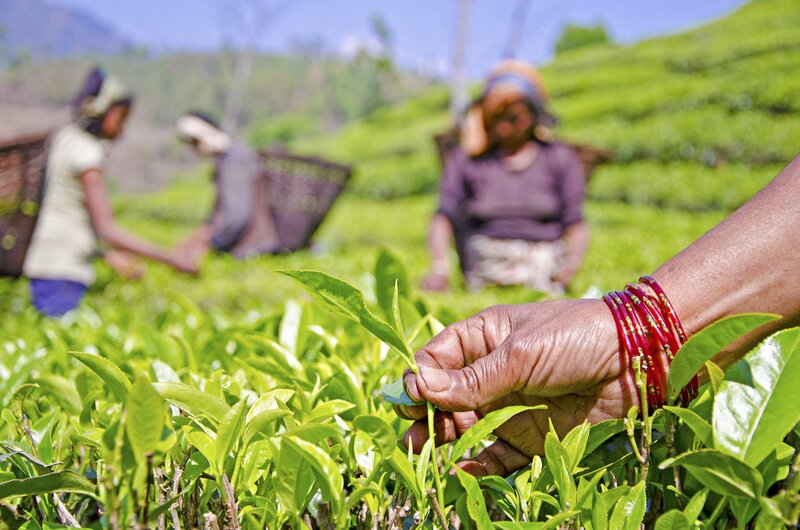 Image: Pavitra Aryal, a member of the EcoTea Cooperative, plucks the first flush of organic tea in her farm in Illam in eastern Nepal. © USAID/Nepal - Nepal Economic Agriculture Trade Project. Masooma Ibrahimi, 30, owns a tailoring business in a rural village in Afghanistan’s Bamiyan region. With four employees, all of them women, she dreams of one day moving to a city and opening up a larger business. “It’s my dream to have a big company selling clothes all over Afghanistan and someday all over the world, so I can employ lots of poor women,” she told the World Bank. Ibrahimi is a beneficiary of US foreign aid through the Afghan Rural Enterprise Development Program and Afghanistan Reconstruction Trust Fund (ARTF). 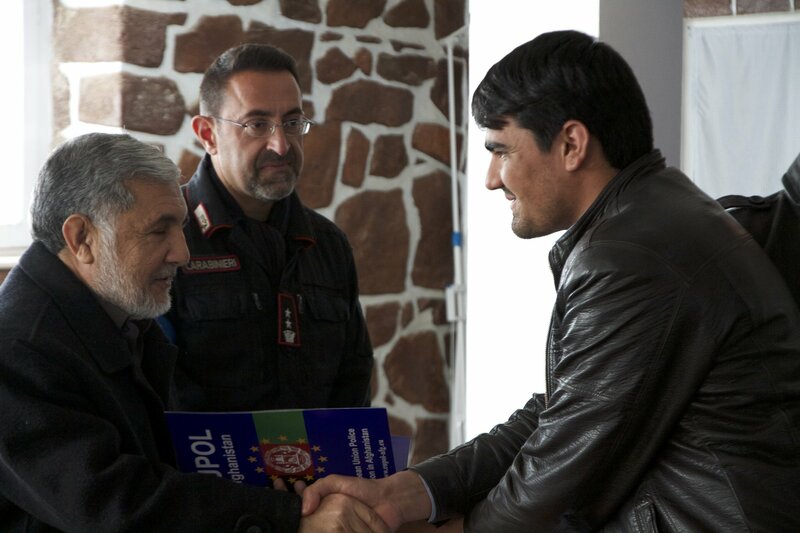 The ARTF is a flagship program for matching donors to projects that improve governance and build civil society in Afghanistan. It also provides financial management training, making sure money received by the Afghan government ends up in the hands of the Afghan people. Each year, the US earmarks $100 million to this program, but under Trump’s proposed budget, democracy assistance to Afghanistan could be cut by one-third. In 2014, the African country of Malawi erupted into election day violence. Polling centers experienced hour-long delays, and poll workers worked late into the night. In the end — despite allegations of vote-rigging — the brother of the country’s former leader was elected. But now, as of 2016, one organization is now working to address these issues. DAI’s Local Government Accountability and Performance (LGAP) program, which is intended to run from 2016-2021 and uses DRG funds, is an attempt to fix these problems not from the top down but from the bottom up. Through LGAP, DAI partners with local organizations on the ground to increase civic participation in politics. “We’re building [local] districts to be stewards for development,” DAI’s Jeremy Kanthor said. Malawi held its first multi-party election in 1993, but still more than two decades later the country has not managed to stem corruption or improve its democratic institutions. Transparency International gives the country just 31 out of 100 in its corruption index, which measures government transparency and accountability. This is the case of many countries across the southern hemisphere, and especially in Sub-Saharan Africa. Funding for local governance initiatives is now under threat. Under the proposed fiscal year 2018 budget, DRG funding to Malawi would be completely eliminated. Starting in 2012, USAID’s Sajhedari Bikaas project has trained 45,000 citizens in local governance and planning, completed 22 social initiatives, and trained nearly 4,000 community mediators in Nepal. Nepal had a monarchy until 2008, and now has a national constituent assembly, but still only 12.5% of elected officials are women. Sajhedari Bikaas focuses specifically on training women to start small businesses and become financially independent, paving the way for them to demand greater political rights as well. The implementing organization of Sajhedari Bikaas, Pact, received over $3,000,000 in USAID funding for its Nepal programs in 2017, according to ForeignAssistance.gov, but the 2018 fiscal year budget halves DRG funding in Nepal. Working in conflict-affected areas in Mindanao, Philippines, DAI’s Enhancing Governance, Accountability, and Engagement (ENGAGE) program works to root out violent extremism by empowering people living in poverty to join local government. In Mindanao, one of many islands in the archipelago, the rate of poverty soars above that of the rest of the country due to longstanding sectarian conflicts, with counties registering anywhere from 45% to 75% of people living in poverty. DAI is currently in the process of doing a survey across 1,000 youth and youth organizations to understand the underlying factors that push young people toward violence and extremism. Between 2006 and 2016, the prison population in the Dominican Republic nearly doubled, according to the Institute for Criminal Policy Research. The DR has one of the world’s worst law and order index scores. And the country’s criminal justice system is struggling to keep up with rising crime and rising incarceration. The Criminal Justice System Strengthened project, funded by USAID as part of its DRG funding and implemented on-the-ground by Chemonics, is attempting to reform this system and at the same time provide refuge to those fleeing violence. Trump’s fiscal year 2018 budget completely eliminates DRG funding to the Dominican Republic.